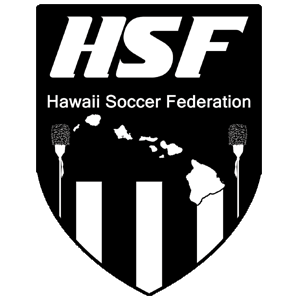 Fall registration for the HSF Premier League is now open to Maui and Kaua'i teams in the 6U to 23U age groups. Consistent with U.S. Soccer’s Player Development Initiative (2016), and US Club Soccer’s Players First philosophy, HSF Premier prioritizes individual player development before overall team results. We focus on developing children as people first—and as Players First—to counter the “win-at-all-cost” culture that sacrifices players as individuals; and threatens the potential for long-term growth and success. Consistent with US Club Soccer’s Youth Club Standards—one of HSF’s primary goals is to create an environment that improves the daily player experience; specifically through providing elevated league standards that call for better club structure, operation, and organization. Well led clubs generally develop better players; critically tying the establishment of HSF to the overall player development process. To aid in our overall Mission of improving the daily player experience, all Club/Team Coaches and Managers are required Positive Coaching Alliance (PCA) Certification, in order to participate in any HSF sanctioned league. HSF provides PCA Workshops annually—free of charge—to establish a collective culture that teaches children life lessons through soccer. Each attendee leaves as a PCA Certified Coach, empowered to Coach for Mastery; Fill Emotional Tanks; and to Honor the Game. 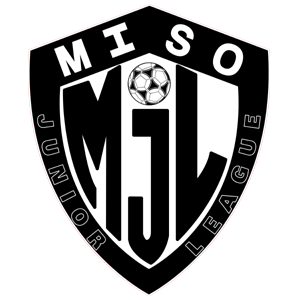 HSF is a member league of US Club Soccer. As such, and in accordance with U.S. Soccer, US Club Soccer Staff Registration is required of all individuals coaching, managing or working with US Club Soccer-registered youth players. This includes, but is not necessarily limited to, all coaches, assistant coaches, and team managers, assigned to a team with youth players, regardless of whether they are volunteers or paid staff, or registered with another U.S. Soccer member organization. [NEW IN 2018] As part of its Players First philosophy, and to create the highest and "best-in-class" standard in player safety and health, as of July 1, US Club Soccer will substantially increase the background screening process. In addition to Sideline Sports Doc injury training, SafeSport training will now be required—consisting of three modules covering sexual abuse, hazing, bullying, emotional misconduct, physical misconduct, harassment (non-sexual) as well as reporting obligations. No other youth soccer organization within the U.S. or Hawai'i does more to provide a safe environment for its players. We recommend that all US Club Soccer registered coaches and staff members become "SafeSport Trained" as soon as possible, regardless of passcard renewal timing. We look forward to partnering with you for another season of youth development through the beautiful game!